La Dante is proud to support BBC Radio Cambridgeshire, who are organising an auction to raise money for the county’s hospice Thorpe Hall. The hospice has been BBC Radio Cambridgeshire’s chosen charity partner this year, as they are raising funds for a new building to help people in their final weeks and days be cared for in the best way possible. 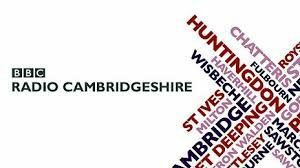 On December 7th this year, BBC Radio Cambridgeshire are having an On-Air Auction – the station will auction off donated items or experiences to our listeners and encourage them to bid as much as possible to raise funds! La Dante is proud to donate a Summer Cappuccino intensive course in Italian worth £180 to the highest bidder.